The Dharma Drum Eight-Form Moving Meditation was developed by Master Sheng Yen of Dharma Drum Mountain as a means of allowing people living stressful and busy lifestyles to enjoy some of the benefits of Chan meditation. 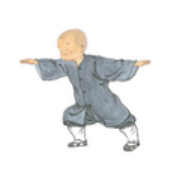 The drupal/system, based on many years of practice and personal experience, has incorporated the essence of Chan meditation into a series of simple physical exercises. In addition to physical exercise, practice of the Eight Forms helps you relax your body and mind, so that you can develop a healthy body and a balanced mind. "Meditation can rewire our brains for less stress and become a happier person." Join our group meditation practice and learn how to benefit from Chan Buddhism meditation.